Calcium phosphate, microgranular cellulose, sodium carboxymethyl starch, talc, citric acid, magnesium stearate, cornstarch. Hypothyroid states: goiter, preventive treatment for relapse after goiter removal, thyroid hypofunction, thyroid phlogosis (inflammation), during anti-thyroid treatment. Thyrotoxicosis and hypersensitivity to the ingredients of this product. This product is to be used with caution and only under a doctor’s supervision for the treatment of myocardial infarction, angina pectoris, myocarditis and cardiac insufficiency with tachycardia. Treating obesity with pharmaceutical products with hormonal activity on the thyroid is dangerous since, in certain doses, it can also provoke serious secondary reactions. Because rare cases have been reported of hepatic dysfunction in subjects treated with thyroid preparations, it is recommended that the dosage be lowered or treatment stopped if there is evidence of fever, muscular weakness or any abnormality in laboratory tests for hepatic function. Patients suffering from panipopituiarism or other problems related to surrenal insufficiency may react unfavorably to thyroxine. 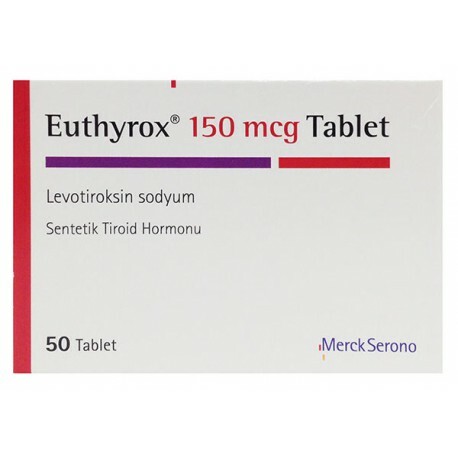 For this reason, patients are advised to begin a corticosteroid-based treatment before undergoing treatment with EUTIROX. Treatment should not be interrupted during pregnancy but rather continued as required and under close supervision by a doctor. When beginning treatment with EUTIROX, not only diabetics taking insulin or products for hypoglycemia by mouth but also patients in anticoagulant therapy should undergo systematic laboratory tests to determine possible interaction phenomena and thus adapt the daily dosage. Diphenylidantoin should not be injected during EUTIROX treatment. GOITRE: ADULTS: 100-150 (200) mcg daily. CHILDREN UP TO AGE 14: 50-100 (150) mcg daily. PREVENTIVE TREATMENT FOR RELAPSE AFTER GOITRE REMOVAL: 100 mcg daily. 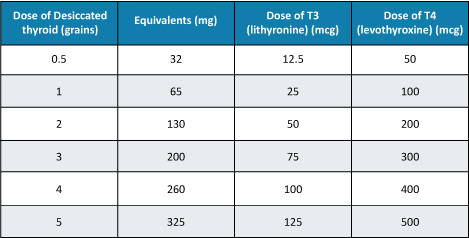 THYROID DEFICIENCY: ADULTS: Initial dose of 50 mcg daily (for approximately two weeks). The daily dose may be increased by 50 mcg by intervals of approximately 14-15 days until reaching the maintenance dose of 100-200 (300) mcg daily;2-2.5 mcg/kilo of body weight daily on the average. SMALL CHILDREN: 0-6 months: 10 mcg/kilo of body weight/day; 6-12 months: 8 mcg/kg of body weight/day; 1-5 years: 6 mcg mcg/kg of body weight/day; 5-10 years: 4 mcg/kg of body weight/ day. INFLAMED THYROID (PHLOGOSIS): 100-150 mcg daily. DURING ANTITHYROID TREATMENT, 50-100 mcg will be sufficient. To be taken with a sip of water, preferably on an empty stomach. Occasionally, especially at the beginning of treatment or in the case of overdose, patients may experience such cardiac symptoms as anginous pain, cardiac arrhythmia and palpitations, and cramp in the skeletal musculature. Tachycardia, insomnia, diarrhea, excitability, headaches, hot flushes, perspiration, weak muscles and weight loss may also occur. In such cases, and always under a doctor’s supervision, the daily dosage should be lowered or interrupted for a few days. The patient should inform his doctor of any unpleasant side effect not described in this leaflet. ATTENTION: DO NOT USE THIS MEDINCE FOLLOWING THE EXPIRY DATE SHOWN ON THE BOX.